Glen (along with Joe and Graham) plays a fundraiser in support of Dundalk Women’s Aid. Also on the bill are Mark Geary, Ollie Cole, Grainne Hunt, Lisa O’Neill, and others. There are occasions when putting a good intention into action in the smallest way reaps significant rewards and the fundraiser for Women’s Aid Dundalk at the Spirit Store on Sunday night is an excellent example. Women’s Aid is a national organisation that has been working in Ireland to stop domestic violence against women and children since 1974.There are chapters for the national charity in most counties in Ireland and the vast majority rely heavily on govenment funding to allow them to provide refuges and support services to those affected by domestic violence. 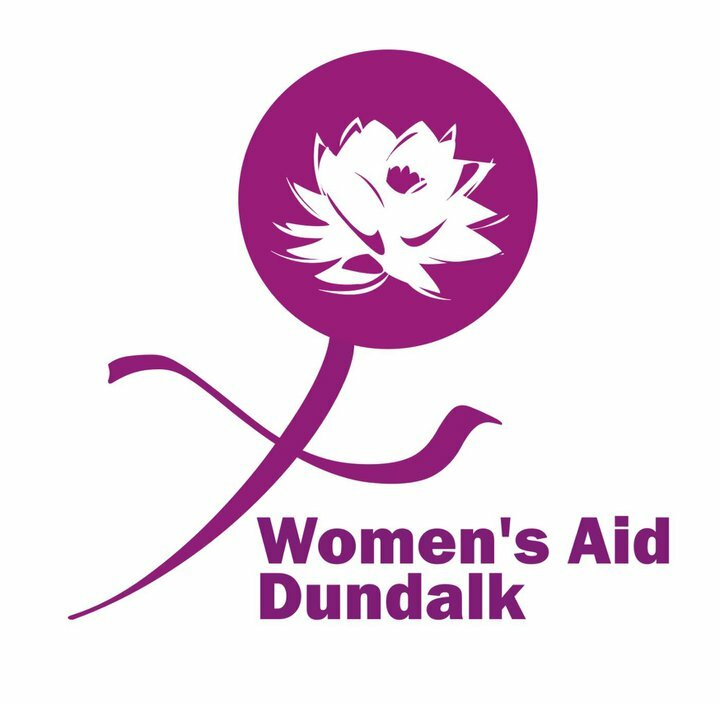 Women’s Aid Dundalk form part of the Co. Louth chapter of the charity and they were very recently advised that, as the result of national directive, their government funding was to be reduced by a massive 75%. Such a huge reduction meant that they were not going to be in a position to operate the refuge they manned in Dundalk and on 1 April 2014 they announced that the refuge would close as of 27 June 2014. A lot of time and effort was spent by people in the local community petitioning against the reduction in funding, and as a show support Derek at the Spirit Store in Dundalk proposed a fundraising show on 1June 2014 to see if something could be done about the closure of the refuge. Calls were made and some local bands and artists put their hands up to come and play a few tunes for this very worthy cause. 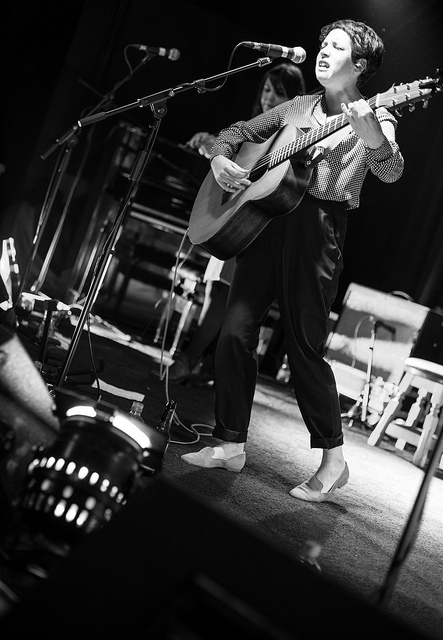 They were followed by Dublin singer-songwriter Lisa O’Neill – who, by herself, would have been worth a trip to Spirit Store to see. It was shaping up to be quite a good fundraising night and the suggestion was made that a perhaps an auction of some signed items could also raise further funds. In steps another Dundalk local, Stephen Finnigan, who manages to contact Glen (who has a long association with the Spirit Store) on Wednesday night (28 May) to see whether a signed cd or the like could be provided to auction at the show on Sunday night. 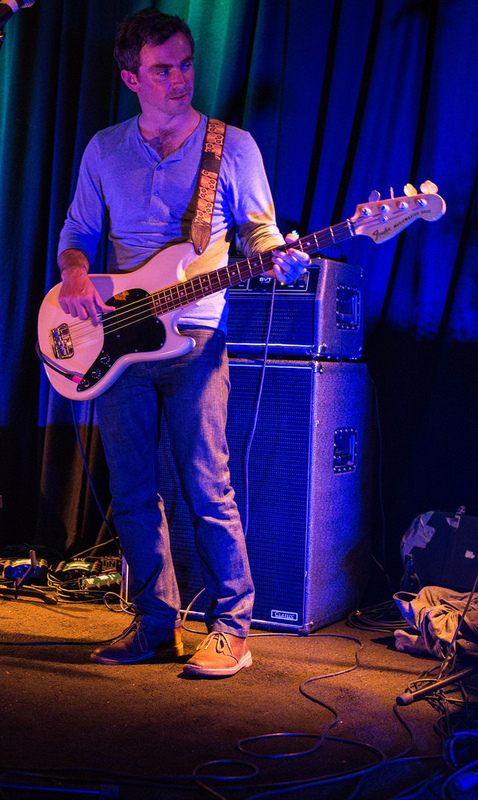 The response from Glen is somewhat unexpected – he’s not currently in the country but instead of donating a signed cd, he wonders if he could possibly come up to Dundalk and play a few tunes with Joe and Graham (from The Frames) on Sunday night? Now I wasn’t there when this response from Glen was received but I suggest that nothing less than a ‘hell yes’ was the answer! A few further calls are made (and texts messages sent) and by Friday afternoon the bill has expanded to also include the likes of Mark Geary, Ollie Cole and The 4 of Us. There’s now so many people performing that the stage lists for both inside and outside the venue are completely full – it is officially ‘on like Donkey Kong’! Unsurprisingly, tickets for the show sell out the day they go on sale. All of the performers are donating their time and the Spirit Store have also agreed to donate the takings from the bar for the night of fundraiser – this added to any further donations from punters on the night means that a significant amount is likely to be raised for Women’s Aid Dundalk. In the meantime, Women’s Aid Dundalk have also had a win during the week on the local government funding front – as a result of some hard work and petitioning they have managed to increase their government funding which means that the refuge can remain operational and will not need to close on 27 June 2014 – hurrah!! They are, however, still below the funding levels of 2012 and therefore further donations from any quarter are going to be warmly welcomed. Given the goodwill which has been generated around the fundraising show and the local government funding result, spirits are high when everyone turns up on Sunday afternoon at the Spirit Store. Now a bit about the Spirit Store – this is a proper Irish pub – there’s no tvs blaring with sport – it’s all about a decent brew, good conversation and great live entertainment. 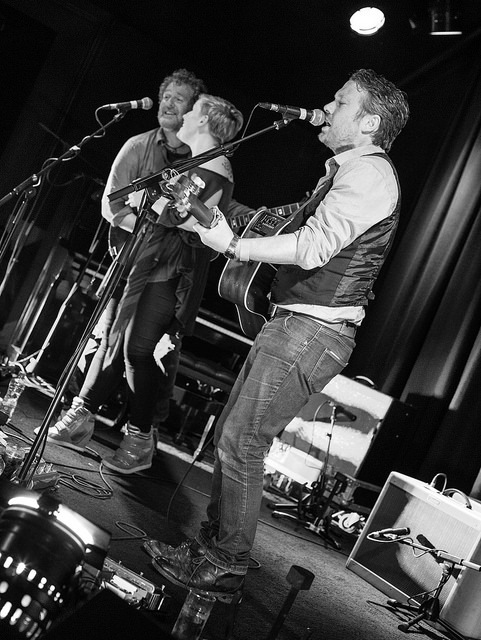 There is a dedicated venue on the first floor which holds around 200 people, and it’s a place that people like Glen & The Frames, Lisa O’Neill, Mark Geary and Ollie Cole have been playing shows at for around 14 years. To say that it’s intimate is a bit of an understatement – I have been trying to get to this venue for a show for some time so I’m delighted to be able to make this one. Before the main event, a number of artists play outside the pub during the course of the afternoon. I arrive a tad later on and manage to catch great short sets from Ollie Cole and Mark Geary (backed up by Grainne Hunt). The doors open at 8pm and in we go eager to snaffle a good possie for what is expected to be a cozy night of Irish music goodness. To kick off proceedings there are a couple of local bands – Manifesto Dundalk and Red Twelve. Manifesto Dundalk are a three-piece who could not possibly be old enough to drink in the pub below! They are delighted to be in front of a sold out audience and sound pretty tight – nice work lads. Red Twelve on the other hand have a few more years of experience on them (ahem..sorry guys!) and are quite an accomplished rock band. 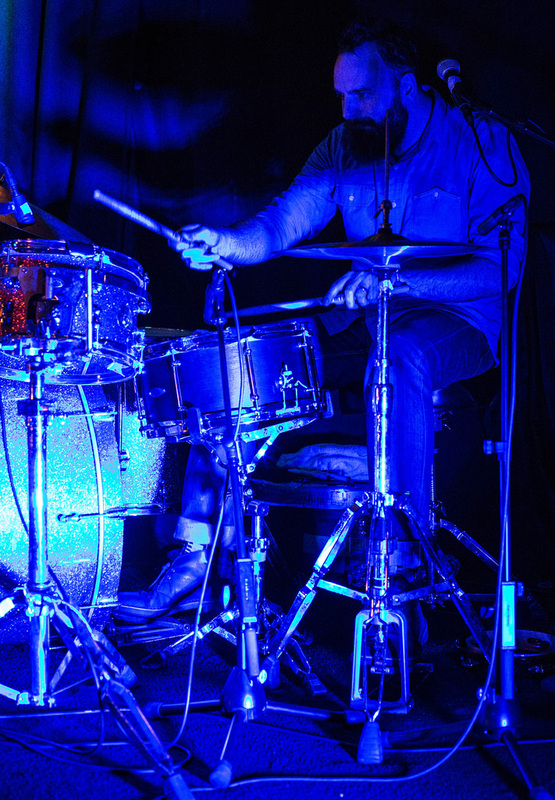 Their sound is slick and their tunes remind me of Placebo – it’s heavy and melodic and certainly holds the punters’ attention. Lisa O’Neill is up next and she sits down at the piano for a couple of tunes – the first being a song dedicated to a hundred year old piano she was given which ‘drowned’ when her flat was flooded. Her lament at the lost stories from the instrument is poignant and very-well received. Lisa’s set is relatively short but highlights include England Has My Man (which Lisa says ‘actually it doesn’t’), Nellie’s Song (which is prefaced by a lovely anecdote about fireflies and is dedicated to her Uncle who died of cancer) and Come Sit Sing (which is recognised at its introduction by most of the crowd – to Lisa’s delight). 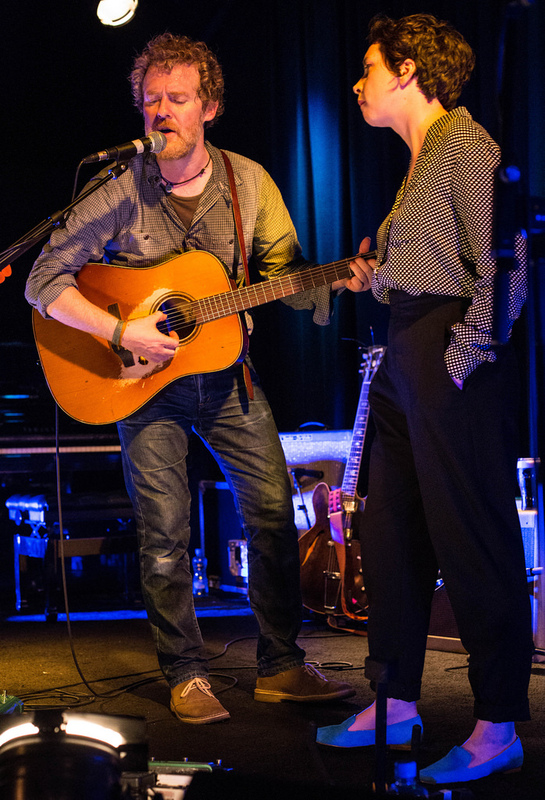 I find Lisa’s voice to be incredibly unique – and that added to her quirky tunes make for some great musical story-telling. 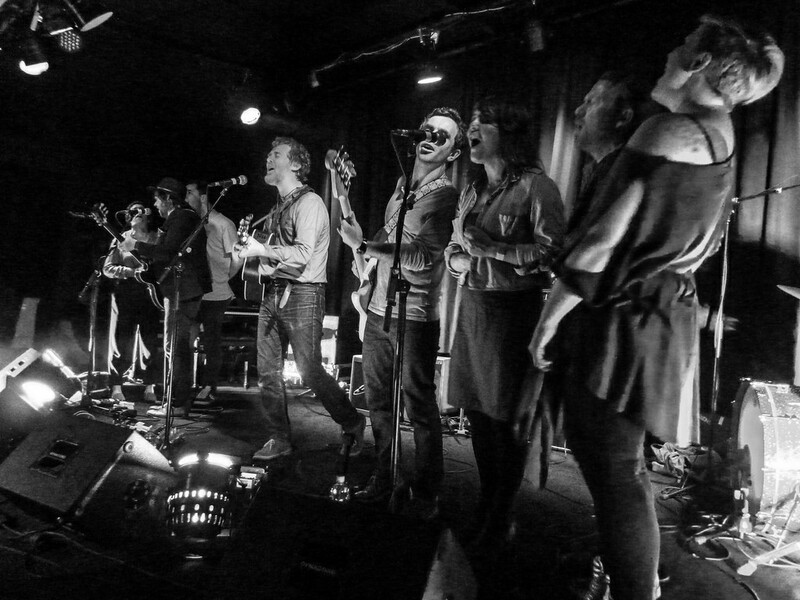 Next up is (as Dave Graney would say) the ramblin’ man, the pirate of love, the rider on the range, the love rustler, the desperado – one Mr Glen Hansard. He is joined by Joe and Graham from the Frames and we’re told they’re gonna give a fair few songs a go even though they haven’t played together for a little while. There is a real ‘living room’ feel going on and, it seems, an unspoken inclination to be somewhat spontaneous with the setlist – yes thank you!! * Glen pauses to remember the lyrics at the start of Maybe Not Tonight and he is assisted from within the crowd by the fabulous voice of Grainne Hunt. Glen invites Grainne up to the stage and she takes over the lead vocals for the tune (with some lyric assistance from Glen). It’s a lovely spontaneous moment and really brings out the generous and improvised nature of the night. * Unsurprisingly, Revelate rocks the crowd to their feet. Glen says playing it at the Spirit Store reminds him of one of the Frames’ first adventures playing in a local Dundalk venue many moons ago called Rock the Planet – Glen describes the crowd at that show as having been so mental “they tried to eat us” – that’s one hell of a crowd but I think they’ve got competition tonight! * Fitzcarraldo is dedicated to Stephen Finnigan who Glen says he’s known for a good while and who used to let all the lads stay at his (and sleep in his brother’s bed) when they were in Dundalk. Eva (who played violin with Lisa O’Neill) is invited out to have a crack at the fiddle part and she does a great job. * The impetuous men on a boat with ‘I hate women beards’ anecdote is used to introduce Talkin With the Wolves. Glen says he only attempted such a feat because he was jealous of Damien Rice’s sailor skills. His description of going out onto the water in his put-put boat (with an engine too big for the boat) with no lights and no life jackets in the dark is met with boos from the crowd which apparently includes a lifesaver. 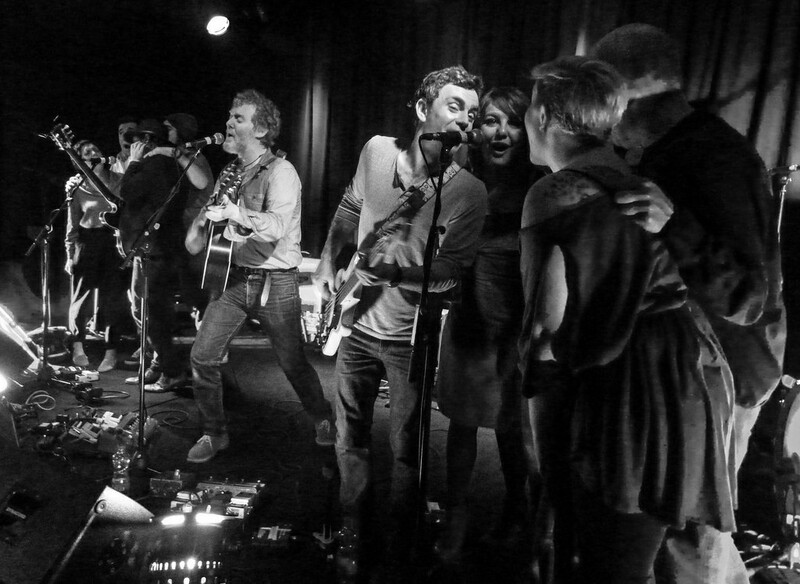 This version also includes a rousing shaker solo from Mic Geraghty – everyone is in on it tonight! 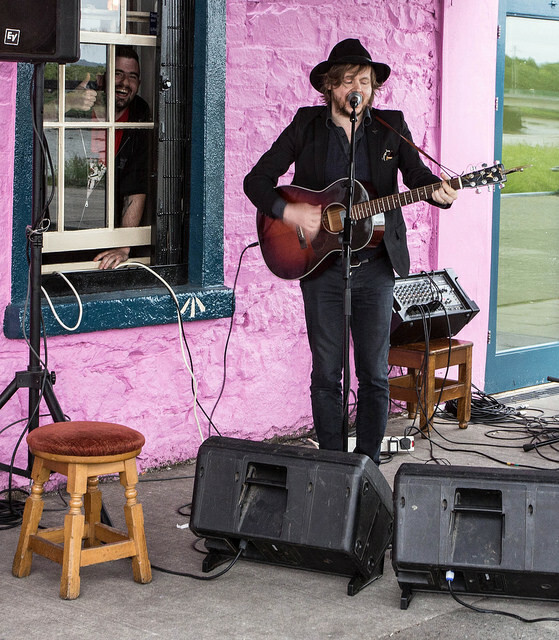 * You’d hardly expect Glen not to take advantage of the musicians in attendance and the crowd are treated to a song each from Ollie Cole, Mark Geary, Grainne Hunt and Lisa O’Neill – in the words of Penny Lane “It’s all happening”. It’s clear that these artists collectively have an amazing rapport and the generous spirit in which tonight’s show has come about is captured on stage and permeates through their performances. * The night is rounded off by rousing version of The Auld Triangle – pretty much everyone gets a verse – the last going to Stephen Finnigan (who we need to do somewhat of a number on to get him onstage!!). It’s a fitting end to a night of where a significant number of people have donated their time, money and services towards saving an important local resource. This really evidences how music makes a difference within communities (no matter how big or small). Glen suggests that this fundraiser should be made an annual event and I’m pretty sure everyone in attendance would be more than happy to buy a ticket again next year! I bow down to Derek and Stephen from the Spirit Store whose willingness to muck in and help out a local charity snowballed into one of the best gigs the Spirit Store has seen (words from a long time Spirit Store employee, not me!). Much respect to all the artists who generously gave of their time and their talent to raise money and awareness for an important charity. The majority of the kudos, however, should go to the people at Women’s Aid Dundalk – these guys are on the front line every day helping people dealing with domestic violence who have nowhere else to go. They fight for the vulnerable, and when they were threatened with closure they fought to get their funding back – your actions inspired many and Women’s Aid Dundalk is more than deserving of all the monies raised – fair play to you!